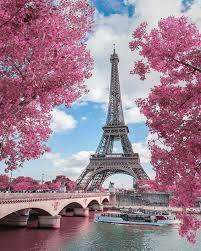 ​ Paris in Spring! A firebird, Mozart in Paris and a mysterious "pulse" that captures it all! ​Paris Symphony No. 31 by Wolfgang Amadeus Mozart. Prélude à l'après-midi d'un faune by Claude Debussy. Fêtes from Nocturnes by Claude Debussy. The concert will be held at First Presbyterian Church, 256 Mahoning Avenue, NW, Warren, 3 p.m. Refreshments will be served during intermission. ​ Not a season ticket subscriber? Purchase tickets at the door. Adults: $25; Students: $15; children under 12 are free with an adult​. This page was last revised on April 9, 2019.